With iPhone sales slowing and investors breathing down Apple’s neck, Tim Cook and his executive team have to be worried about what Samsung has up its sleeve for February 20. The Galaxy S10 lineup is expected to wow fans with triple-lens cameras, all-new edge-to-edge displays, Wi-Fi 6 connectivity, and Samsung’s fastest chips to date. It’s also likely to be more affordable than the iPhone. As if that wasn’t enough, Samsung is giving iPhone owners a big reason to jump ship. 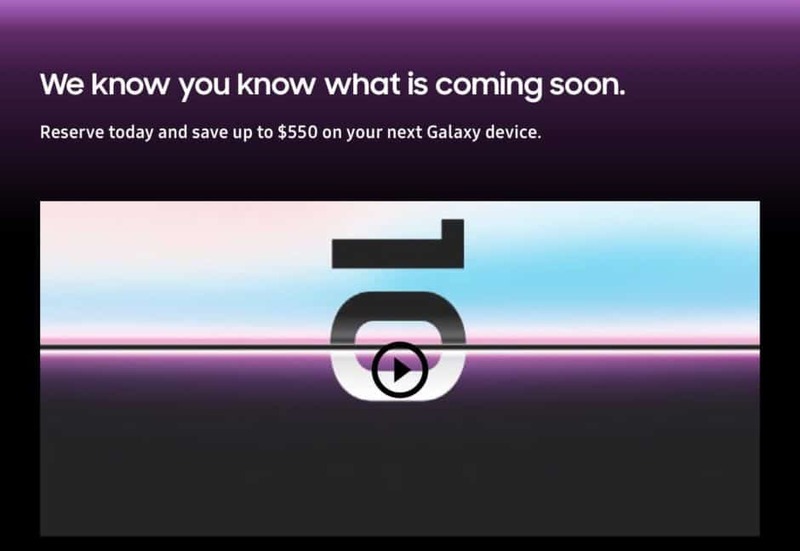 The company’s new webpage lets you register your interest in “the next Galaxy” and promises up to $550 off when you trade in an iPhone. That’s what you get when you swap your iPhone X, iPhone XS, iPhone XS Max, iPhone XR, iPhone 8, or 8 Plus. Samsung is also offering up to $300 for an iPhone 7 or 7 Plus, up to $150 for an iPhone 6s or 6s Plus, and up to $75 for an iPhone 6. These are pretty generous trade-in discounts — the biggest of which should easily make a Galaxy S10, or even a Galaxy S10 Plus, less than half price. The same $550 is also being offered for the Samsung Galaxy S9 or Note 9, the LG V40, and the Google Pixel 3 and Pixel 3 XL. However, only on the Apple handsets does the biggest discount extend to devices that are now two years old. You will then have to wait until February 20 to find out what you’ve actually registered your interest in. That’s when Samsung will make the Galaxy S10 lineup official at an event in San Francisco.